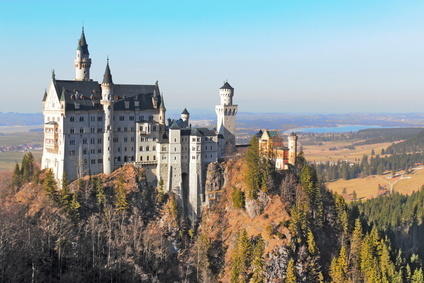 This beautiful nineteenth-century castle sits elegantly atop a rugged hill above the village of Hohenschwangau near Füssen in southwest Bavaria. Intended as a personal refuge for King Ludwig II it was opened to the public after his death in 1886. If you think the look of this castle looks strangely familiar you maybe recognise it as the main inspiration behind Disneyland’s Sleeping Beauty Castle. Attracting over 1.3 million visitors annually, this is one of the better known destinations on this list, but is still well worth an inclusion. 300 metres below the surface of Chihuahua in Mexico lays one of the most amazing natural formations ever discovered. Caves containing the largest selenite crystals ever found, reaching 11 metres in length and 4 metres wide. These crystals are believed to have formed some 500,000 years ago with the help of underground magma deposits, heating the water in the caves to a blistering 50°C. Unfortunately for most, the closest you will get to these fascinating structures are the pictures. Since their discovery in 2000 they have been off limits to the general public, not only for their preservation, but also due to the fact this is an extremely dangerous cave. While this is truly a place of beauty, it is one best admired from afar. 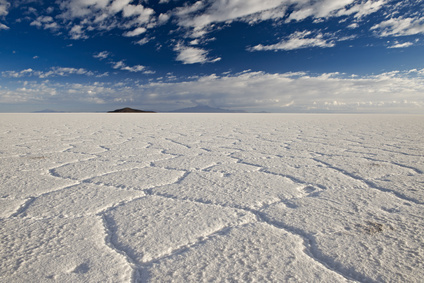 The world’s largest salt flats, located in the Potosí and Oruro departments in southwest Bolivia. This stunning landscape covers some 12,000 sq km (4633 sq mi) the remaining lake was part of a prehistoric salt lake which once covered most of southwest Bolivia. This destination has long attracted tourists due to the mirrored effect given by the flats against the clear blue sky and it is certainly an awe-inspiring sight. If you are planning on backpacking in South America this should definitely be on your list. Dubbed “The Door to Hell” this is a truly terrifying sight, a burning pit in the middle of the Karakum Desert, 230ft wide and 66ft deep which has been raging for the past 40 years, this may not sound like the most inviting of destinations but it is certainly one you will never forget. The site came about after a Soviet outpost was set up to drill for natural gas in the area. After the initial success of discovering the gas resources; the ground beneath the camp collapsed, having being swallowed into an enormous crater. Amazingly no lives were lost in the accident but they now faced the environmental issue of the large amount of methane gas which was being released from the site. The decision was made to “burn out” the gas, by setting it alight and burning off the remaining gas, it was expected the gas would burn out after a number of weeks, but more than four decades later the fire is still burning. Mount Roraima is the highest point in the Pakaraima mountain chain of Tepui Plateau in South America. The plateau boasts borders with Venezuela, Brazil and Guyana with 1,300ft cliffs on all sides. Since the first recorded person to scale the plateau in 1884 it has become a popular destination for backpackers and hikers. Most hikers who attempt the climb take two days to reach the base of the mountain, then another day to follow the “La Rampa” a natural staircase-like path up to the top. This is a serious climb and should not be attempted lightly. If you want to reach the top you should take one of the many tours available for tourists. One of the oldest and biggest step wells in the world, Chand Baori looks like a geometry puzzle. Built during the 8th 9th century by King Chanda, it provided the surrounding areas with a reliable water source for centuries before modern water systems were introduced to the area. No longer in use, the site is an incredible place to visit to inspect the precision and scale of this 1,000 year old structure. With steps on 3 sides of the well and the fourth boasting a set of pavilions built one atop another and even a royal residence for the King and Queen and a stage for performing arts this is truly a magnificent place to visit. Protruding from the Pacific Ocean, this uninhabited volcanic island is a breath-taking site. Boat trips are available to get up close to the natural stone spire and the other formations in the area. The nearby island also offers beautiful wildlife and stunning waterfalls. Once inhabited by the Ainu, they believed there are vast amounts of gold under the islands. While this is obviously up for debate, this is still a beautiful place to visit. “The eye candy of Zhangye” is a range of beautiful maintains offering a kaleidoscope of stunning colours. The Danxia landform is rich with unusual rock formations and colours which have contributed to its popularity over the years. Formed some 6 million years ago, the mountain gained its current exterior thanks to erosion of the soft sandstone. Vivid red orange and yellow layers can be seen sweeping through the hills. The national park offers viewing platforms for the best areas to see what Danxia has to offer, a range of tourist busses and sightseeing cars are available inside the park ensure you see everything it as to offer. To those who know it, Keahiakawelo is better named the ‘Garden of the Gods’. A rock garden that looks scarily similar to that of a sci-fi movie set. It is located in the Northwest region of Lanai and made up of boulders and towers of rock. Head over here at dusk to get the most inspiring views of rock towers, spires and formations, created by centuries of erosion. They will glow in exceptional reds and purples. If the weather prevails, you can see the island of Oahu from the high elevations created. The sweep of red rock gardens against a backdrop of ocean creates stunning sweeping views. Be warned, that this location is only accessible via a 4-wheel drive and the removal or stacking of rocks found here is forbidden.